This picture of raw chicken wings is brought to you by a whole bunch of freaking machinations required to make Blogger upload pictures, even after clearing my cache AND installing Firefox. Also, here's a .gif of Benedict Cumberbatch being adorable on the Graham Norton show, just to prove to myself that I've solved the problem. I'm still mighty pissed off at Blogger for making me jump through all these hoops (and for not featuring a hint of a peep of a word on their website or help forums about a problem that clearly a lot of people are having). 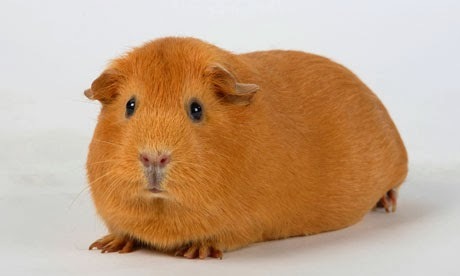 This guinea pig totally disapproves of you, Blogger. I hope to hear from you about why you suddenly decided to go all freaky. Because I'm still looking for a new host until I and my blogging friends do. Two things really annoy me about this. The first is that even when you were unable to include pictures the same horrendous ad with anime girls in bikinis showering still appeared. If Blogger won't allow you to upload pictures then they shouldn't allow ads for a website that no one in their right mind would even think about visiting to appear either. 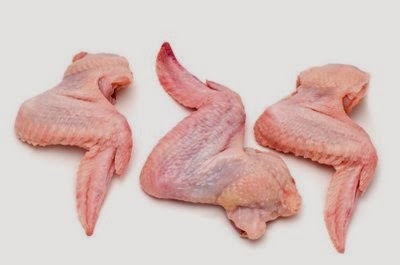 Fortunately that picture of chicken wings reminds me I need to call and order 120 pounds of raw chicken necks, which I will then spend the better part of my Saturday running through a meat grinder before I pack the resulting paste in plastic tubs and store it in my large freezer. Even though you couldn't possibly have known that (unless you have some spooky mental powers) the reminder is appreciated. I just wish I could repay it with some tech advice.